The Days of Johann, an agility dog! : A puppy teeth emergence schedule and the history of when Rach lost his puppy teeth! 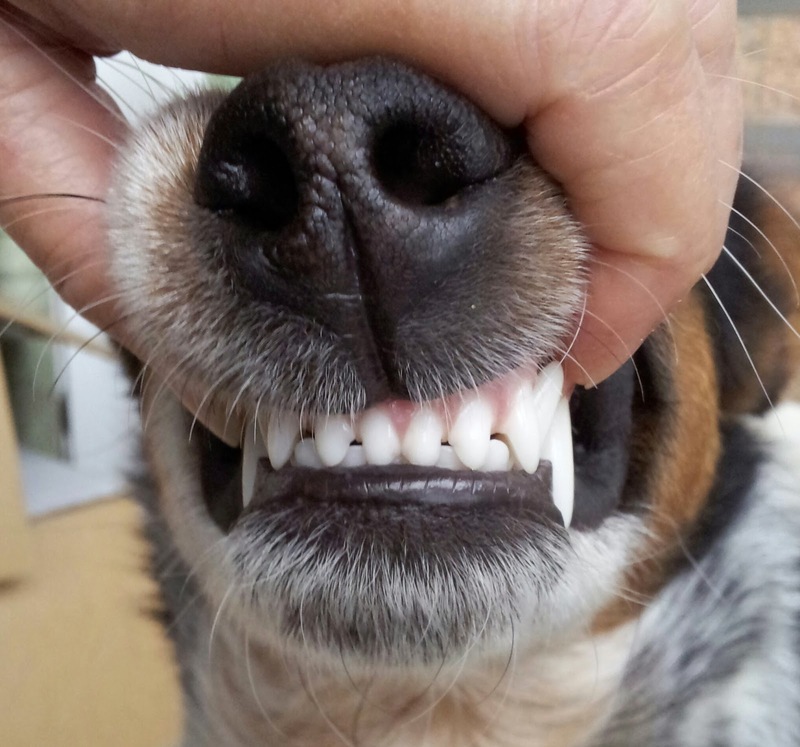 A puppy teeth emergence schedule and the history of when Rach lost his puppy teeth! It's been a while since Rach lost the last of his puppy teeth. Since we recently went through teething and losing puppy teeth, we get a lot of questions at what age he lost his teeth and more, so we thought we'd share the end results with you! 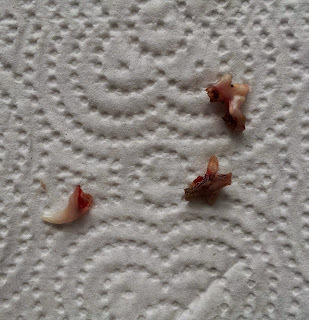 We noticed at a vet visit on August 14th that he had lost a few of his incisors (those are the little teeth in the front) and the new ones had started to come in. He was just one week shy of his fourth month birthday. Then on September 19th at just 21 weeks (just shy of five months), the big tooth drop began lasting until October 8th (at just 23.5 weeks). 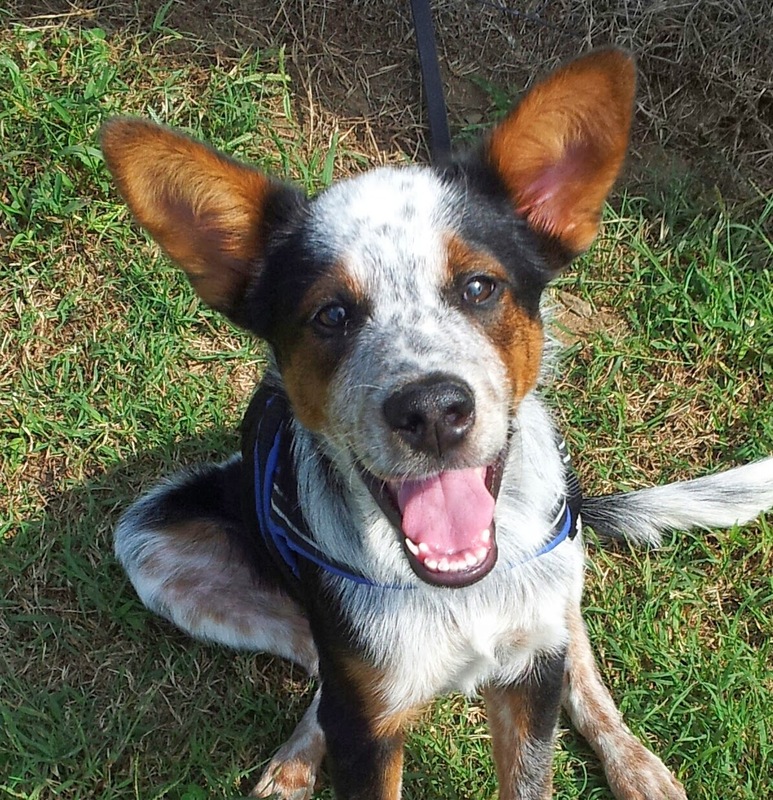 According to the many charts out there, he was pretty much on schedule with all his puppy tooth losses! Mum was able to find a lot of his major lost teeth, including three of his four canines (the large sharp ones in the front), and three of his six pre-molars (those bigger teeth in the back). Oh, that's just weird, but that's exactly what Mum found from my big tooth drop way back in 2004! Mum started finding my teeth on 10-23-2004 and the last one on 11-25-2004. This photo (below) was taken on September 18th at 21 weeks and you can see the adult canine on the lower left (Rach's right) right next to the puppy canine, pushing the puppy tooth out. Rach lost that puppy canine just four days later. On September 14th at just under 21 weeks you can see (below) Rach's canine on the right (Rach's left) being pushed out by the permanent canine. The puppy tooth came out just the next morning. Also in this photo you can see the upper canine is still the puppy tooth with no sign of the permanent one. Interesting. I think it was September 30th when he lost that upper canine. So Rach was pretty much on track getting all his adult teeth! And his bite turned out pretty darn good as you can see in the photo at the very top of this post. His upper teeth just slightly overlap his bottom teeth which is how bites are supposed to be; and all his teeth came in naturally, and nice and straight too! You can read more about how we helped Rach through his puppy teething naturally on our Raise A Green Dog blog. We'll leave you with Rach's famous smile (also known as the dog submissive grin), which he gets regularly now after a long bitey face session with Gracie or a good ball tug session with Mum. 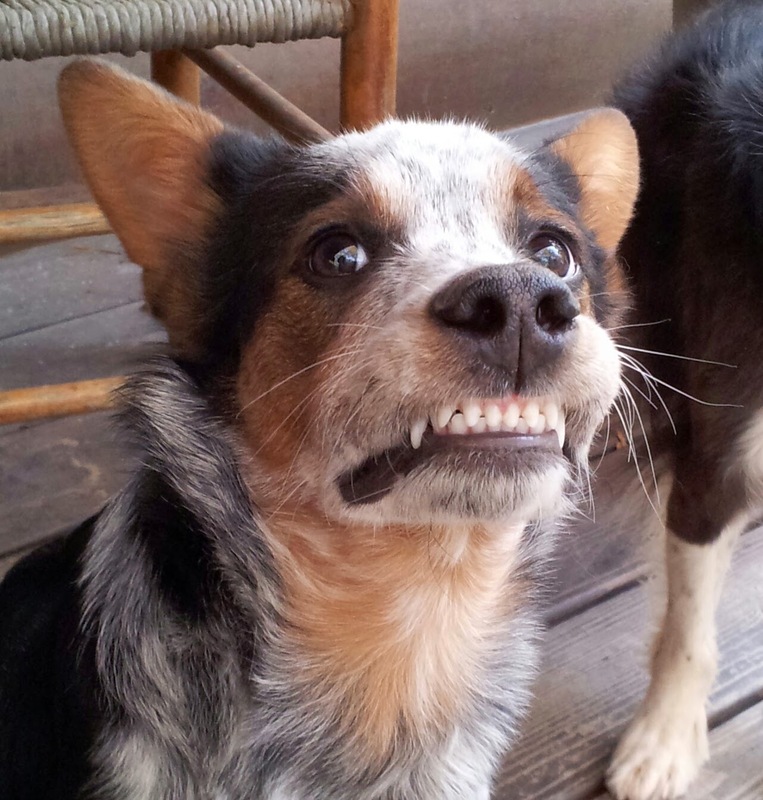 OMD, we just love that famous grin of yours, Rach! We hope the tooth fairy is leaving you lots of money so you can head to the doggie store one day soon and treat yourself to something fun or yummy!